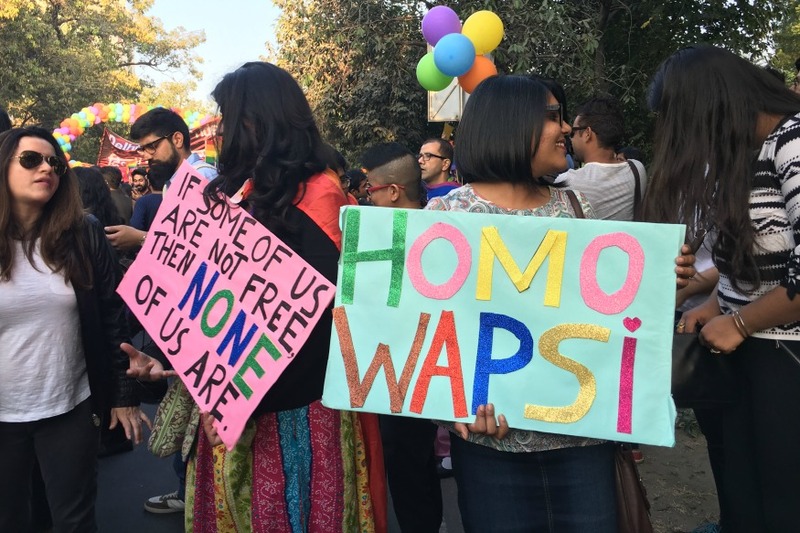 The 9th edition of the Delhi Queer Pride Parade held on Nov. 27 saw thousands of revellers gather in Central Delhi. 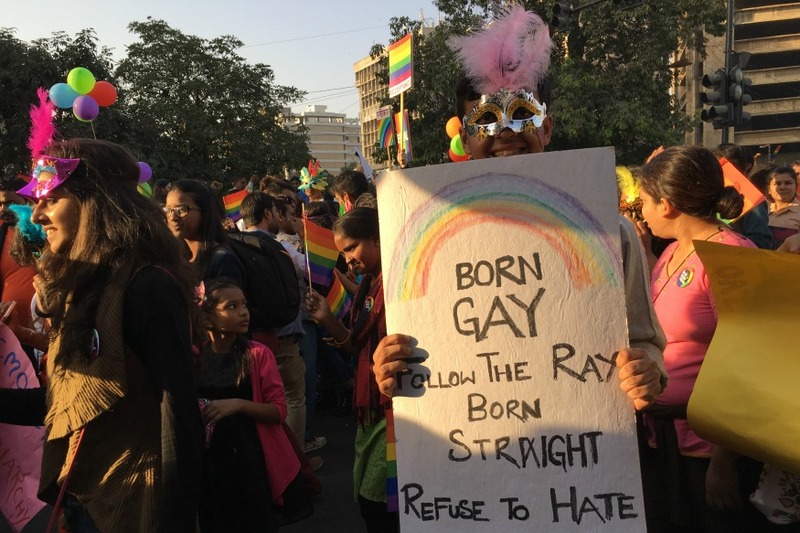 People from all across the city, including members of the LGBTQ community and supporters, gathered at Delhi’s Barakhamba Road and marched till Jantar Mantar, celebrating, dancing, singing and holding banners and placards with bold and unique slogans on them, some of which read, ‘Queer And Proud’, ‘Protect Love’, ‘Born Gay, Follow The Ray, Born Straight, Refuse To Hate’. They marched under a colourful rainbow made of balloons. Here was a space where it was alright not to conform, to express oneself through eclectic attire, body art and tattoos. Rainbow-colored flags were handed out, along with customized badges and masks. 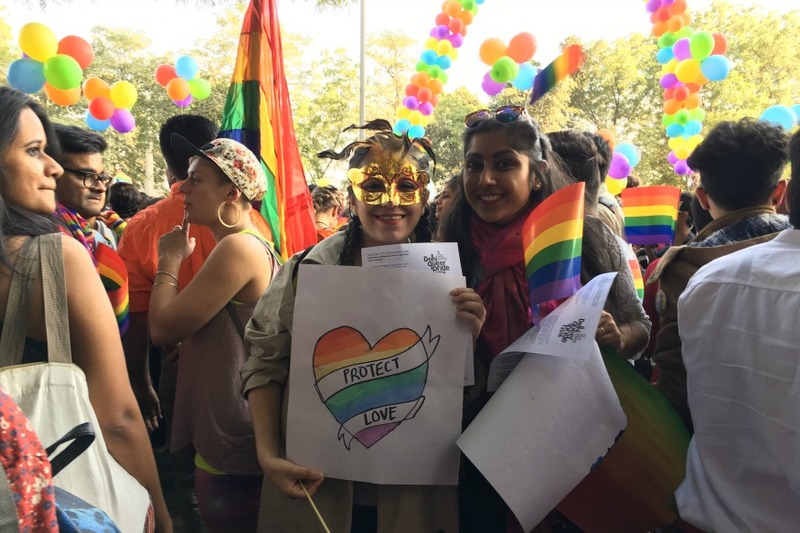 Not just the LGBTQIA community, but straight allies also marched to show solidarity with the community in making a united call for equality of gender and sexuality and seeking “a life without fear”. At the end of the day, we all need to feel protected and loved. Two Of A Kind: Can You Tell Which Twin Is Gay?